Image source: Jose Paciano Laurel Blog on Tumblr. Tanauan–born Dr. Jose P. Laurel is remembered in History as the President of the 2nd Second Philippine Republic during the Japanese Occupation of the Philippines in World War II. For accepting this post, he was inevitably accused in some quarters as a Japanese collaborator and, therefore, a traitor. The point of view that he was a traitor, it has to be said, has to be seen as from the pro–American standpoint. There will be those among historians who regard him as a nationalist instead. Whether he was a traitor or not has already been discussed in an earlier article in Batangas History. This article’s focus will be on the contents of a declassified United States Army document1 which tried to rationalize Laurel’s motives in accepting the Presidency of the puppet government. One theory which the document put forth had something to do with Laurel’s involvement with the so-called Conley Bribery Case. Laurel’s resignation precipitated a mass exodus of Filipino officials from the Cabinet and the Council of State. Special missions were sent to Washington D.C. to bring to the attention of US President William Harding “undue interference on General Wood’s part” presumably in the Conley case but likely also in other matters of governance. Meanwhile, Wood had moved decisively and immediately promoted the Undersecretaries to replace those who had resigned their positions. Before long, however, all the cabinet secretaries who had resigned in sympathy with Laurel, who had preferred to stay in private life, would be reinstated. He would not return to the limelight until elected to the Senate in 1925. 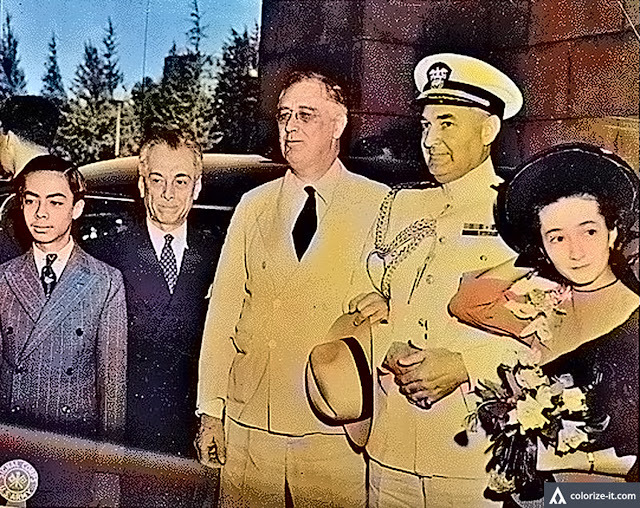 The document further noted that Laurel had, presumably in his private practice of law, acted as attorney of Japanese firms, which in turn made him friendly with many prominent Japanese even before the occupation. He had also sent his sons to be educated in Japan. At the start of the Japanese occupation, the invaders started to use his name prominently in propaganda. FOOTNOTE: In his book, author Alfred W. McCoy wrote that a Chinatown merchant by the name of Lao Teng was being harassed by spies of Mayor Fernandez, who were extorting money and threatening to plant morphine in the merchant’s premises and promising raids. The merchant was supposed to have reported this to Conley, who in turn started arresting the Mayor’s men. In retaliation, the mayor allegedly “launched an elaborate scheme to implicate Conley in the act of taking bribes” from the gambling lords in Manila. If this information is true, then it is also possible that Laurel was used by the Mayor to further his alleged plot against Conley. 1 “Civil Affairs Handbook: Japan. Section 18C: Japanese Administration of Occupied Areas – Philippine Islands,” published July 1944 by the Headquarters, United States Army Forces. Many of this article’s important details are taken from this document. 3 “Policing America’s Empire: the United States, the Philippines and the Rise of the Surveillance State,” by Alfred W. McCoy, published 1930 by the University of Wisconsin Press.